There’s nothing more celebratory, especially when it comes to end-of-the-year holidays, than little, eentsy, teensy tiny salt-cured fish eggs. Caviar. It’s one of the world’s most luxurious delicacies, something sold in ounces like a drug. Prices soar to astronomical heights—Petrossian is selling a tire-sized tin for $125,000 this year (apparently only royalty has bought it at this point)—which is why caviar seems so off-limits to, well, pretty much everyone without a limitless bank account. But it doesn’t have to be. At Wally’s, both the Cheese Box adjacent to the original wine shop and the Beverly Hills wine bar and retail shop, buying caviar is as accessible as picking out a bottle of wine or a hunk of fine cheese. A corner at the Beverly Hills spot has even been dubbed the Caviar Marketplace, where you can select the finest sturgeon, salmon and trout roes to take home for special occasions or just, you know, breakfast. 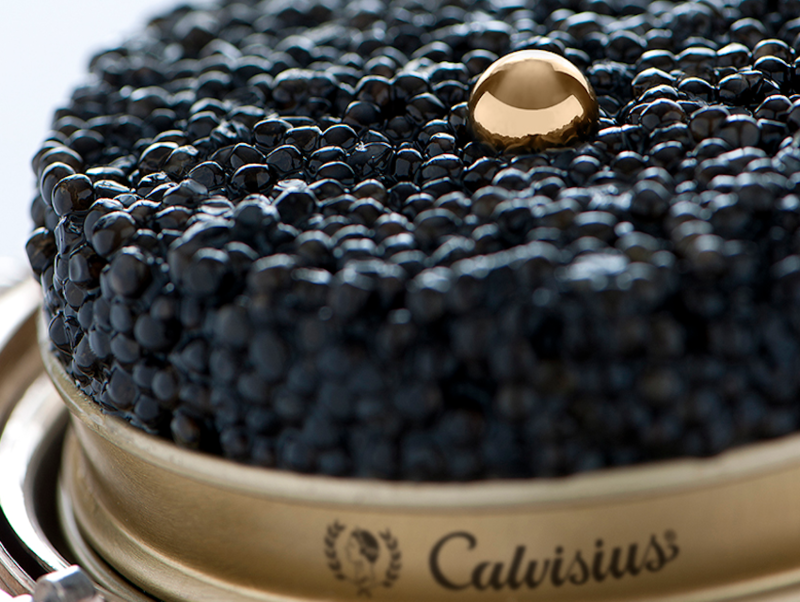 If you’re out to impress for the holidays, the one to seek out this year is from Calvisius, a brand from Northern Italy that’s widely regarded as having some of the finest sturgeon caviar in the world. It’s only now available for retail in the U.S., and Wally’s is the first to carry it in the country. She also adds that its one of the first sturgeon farms to win a Friend of the Sea sustainable certification, which is important. Overfishing in the Caspian Sea, the source of most of the world’s caviar, caused such depletion, international bans on Caspian caviar were put in place several years ago to protect the fish. Aquaculture has been key to keeping caviar on our mother-of-pearl spoons, and most reputable vendors will only sell farmed varieties. Unlike the cheeses and other snacks available at Wally’s, you can’t just walk in and expect to sample before you buy it. Occasionally there might be something open already, but it’s very perishable (these are all unpasteurized), so it’s rare. But there are caviar tastings, especially between Christmas and New Year’s. Check the website for info. The Best Things to Do This Week in L.A. The 6 Best Things to Do This Week in L.A.